Myth 1: Why even talk about noble crayfish? They are already extinct. Noble crayfish can be found in about a thousand Swedish lakes and streams. Noble and signal crayfish distribution in Swedish lakes and streams in 2010. Noble crayfish, nearly 1,000 sites. Signal crayfish, over 4,000 sites. The number of sites has decreased by almost 500 in just 8 years because of crayfish plague outbreaks. The Species’ future in Sweden is critically endangered according to the Species Database Red List. Source: Institute of Freshwater Research’s crayfish database. Myth 2: Signal crayfish grow twice as fast as noble crayfish. Noble crayfish grow just as fast if the conditions, such as access to food, water temperature, and the population density, are the same. Myth 3: Crayfish walk backwards. They walk forwards. They can back up (by paddling with their tail), if they are frightened, but who can’t do that? We have never seen a crayfish walk backwards, despite more than 100 hours of videotaped behavioral studies and direct observations of crayfish in aquariums and troughs at the Swedish Agency of Marine and Water Management’s freshwater laboratory. They have always turned 180 degrees and walked forward. Myth 4: One can not fail stocking signal crayfish. 20% of the restocking in the south of Sweden has failed. Where successful it will take at least 5 years before one can get an average take of 1 crayfish per cray pot and night. Signal crayfish waters with very poor catches in recent years (from a decline of more than 2/3 of the catches down to almost total elimination of the stock). Total 134 dots. Myth 5: One doesn’t need a permit to stock crayfish. It is illegal to stock crayfish without a permit. Legally, crayfish are the same as fish. The stocking of fish, etc. A permit from the provincial government is required in order to introduce fish or move fish from one body of water to another, or to build and operate a fish farm. Such permit may be subject to conditions. where the species is not present today or where permits have not previously been granted for planting the species. Permits may not apply to crayfish in a body of water in which the crayfish plague has occurred during the last two years. Myth 6: The crayfish plague lives on at the bottom of lakes for many years. 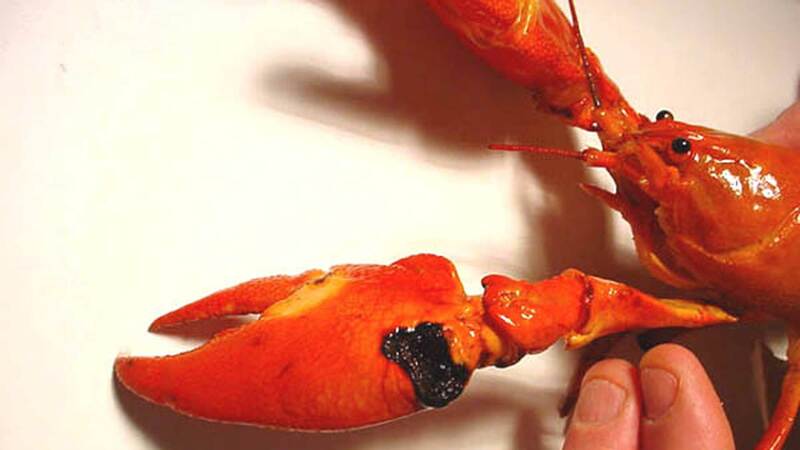 Plague spores starve to death in a couple of weeks after the last crayfish have died. The crayfish plague is a parasitic fungal disease that needs nourishment from the crayfish. Thus, crayfish plague spores have a short lifespan without the crayfish. No resting stages, oospores, or intermediate hosts for the disease have been found. There are examples from Sweden with up to 60-year’s survival of noble crayfish after a plague outbreak and the re-establishment of the noble crayfish. Today, some 20 bodies of water in Värmland have good stocks of noble crayfish, even though they have a history of crayfish plague. Myth 7: Crayfish want it to be cold when they mate. Thus, they do not start until late in the autumn. When the temperature has dropped to about 10 degrees Celsius, the crayfish are willing to mate. The male turns the female on her back and presses his package of sperm between her third pair of legs and her tail. Mating takes place in October and happens quickly. The male holds the female’s claws, turns her on her back, and applies the sperm capsules. From one day to a week after mating, the female squeezes the roe out of her genital openings, which sit at the base of the third part of walking legs. The eggs are fertilized by the sperm and are stuck to the swimming legs under the tail in a gelatinous substance secreted by special glands. The spawn hatches in June of the next year. Myth 8: Noble crayfish are immune to the crayfish plague. Signal crayfish are more resistant than noble crayfish to the plague because they can encapsulate the disease in their shell. Therefore, they are always carriers of the infection and may also suffer from the disease if they become stressed. The strain that came to Sweden with signal crayfish occurs in all cases of crayfish plague since analyses began in the 1970s. Myth 9: It’s hopeless to stock noble crayfish. Restocking noble crayfish is often successful. If it fails, it’s often because people put plague-bearing signal crayfish in the same waters. Waters in Värmland where noble crayfish have been re-established after the plague. Myth 10: Signal crayfish or not, noble crayfish are still doomed. The noble crayfish has good prospects for survival if the illegal stocking of signal crayfish ceases. Today there are scarcely 100 crayfish populations remaining within the county. Each year 4-5 populations of crayfish are affected. At this rate there will be no noble crayfish left in the Stockholm region in 20 years. Myth 11: Once a plague, always a plague. Plague spores die without host animals (crayfish). Then the lake is once again free of the plague. A lake with signal crayfish, however, is always infected with the plague. 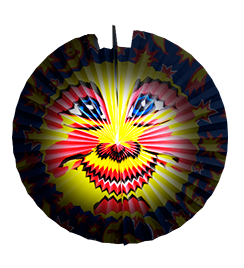 A free swimming spore in the water may temporarily release their scourge and regenerate them up to three times. If it still has not come in contact with a crayfish, it dies of malnutrition. This entire cycle, until the spores die of malnutrition, takes from between a few hours up to a few weeks. Myth 12: Noble crayfish are stocked, just like signal crayfish. Noble crayfish immigrated about 10 000 years ago, while the signal crayfish were brought here from the United States during the sixties. A genetic survey of noble crayfish in 15 Swedish waters was conducted from 1998 to 2000 with modern DNA techniques. The study showed that noble crayfish are genetically different in various parts of the country. The genetic differences are so great that we can talk about different crayfish strains. It takes thousands of years for genetic strains to have time to develop. The study thus shows that crayfish have existed for a very long time in the country. 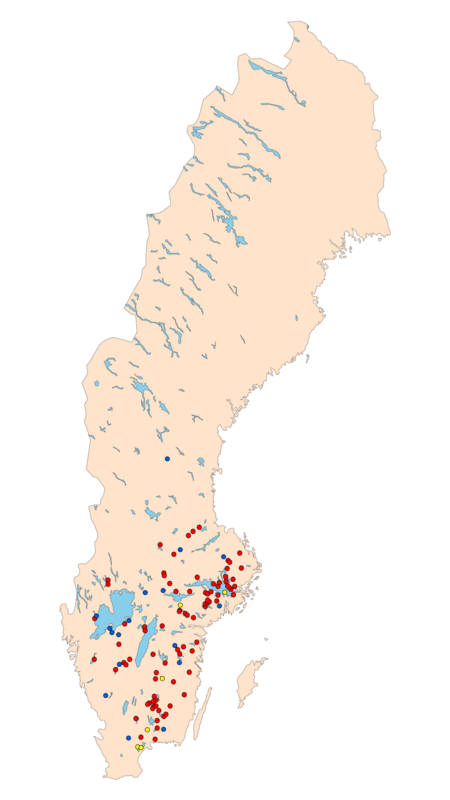 Only two neighboring populations in Sörmland (marked in blue) and three populations in Värmland and Dalsland (marked in red), which recently had contact and genetic exchange with each other, were genetically similar. GENETIC DIFFERENTIATION BETWEEN NOBLE CRAYFISH, ASTACUS ASTACUS (L.), POPULATIONS DETECTED BY MICROSATELLITE LENGTH VARIATION IN THE RDNA ITS1 REGION. Myth 13: All research money goes to noble crayfish. During the past fifteen years, about 80% of government money for crayfish research has gone to signal crayfish. State-funded research on crayfish in the past 20 years. Myth 14: No matter how hard signal crayfish are fished, the catches continue to be good. There are many examples of decreasing catches with hard fishing. Halmsjön is a renowned lake, known for its good catches. The catches were up to 4,000 cage-nights per year. In the early 90’s the fishing collapsed. Myth 15: Since the signal crayfish comes from a deep and cold lake (Lake Tahoe, CA), they give a good catch, even in Norrland. Signal crayfish can not reproduce in cold Swedish waters. So, there will be no lasting fishing. Signal crayfish were legally introduced in the 1970’s and 1980’s in 154 waters. Conclusion: 87% of introductions in the north failed. Myth 16: The signal crayfish is spreading to new lakes, when fertilized roe gets stuck in bird’s feathers. The crayfish roe is firmly fixed under the female’s tail until they hatch. There are no loose grains in the water. Myth 17: A male crayfish can put up his antennas in the air and feel the scent of a mating ready female hundreds of meters away. No, and he doesn’t engage in speed-dating either. It’s possible for a male to feel the scent of a female a couple of meters away in the water. The crayfish’s organ of smell is not designed to be used in the air. Myth 18: Once the signal crayfish has established itself in a lake, it can’t be eradicated. The eradication of entire signal crayfish populations have been carried out on Gotland, Sweden, among other places. To protect other noble crayfish populations from illegally implanted signal crayfish, the Gotland County Administrative Board eradicated the signal crayfish using insecticides in 2007-2009. 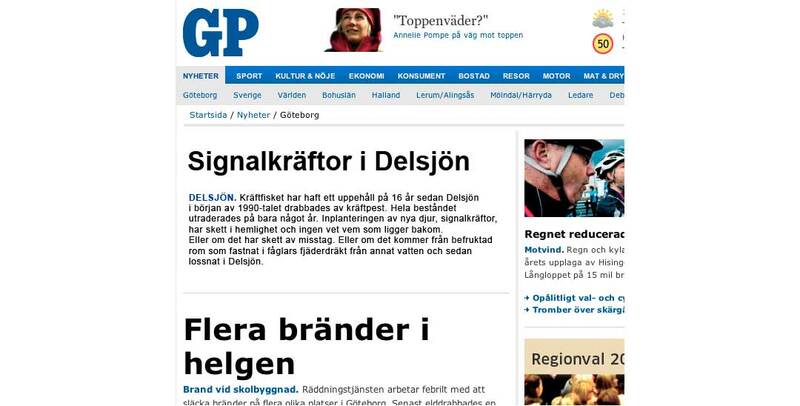 The same thing has been done in Norway by the Directorate for the Management of Nature. Myth 19: The stocking of signal crayfish is positive from an national economic perspective. No, it has been a loss for society. It costs outweigh the benefits. The introduction of the signal crayfish costs, according to a recently published research paper, between 300-500 million kronor per year. Myth 20: Overfishing is the greatest threat to the noble crayfish. Crayfish farming, crayfish catching (and crayfish parties!) are a prerequisite for maintaining the noble crayfish. When one is allowed to retain one’s fishing culture and the catch is good, the motives for the illegal release of signal crayfish disappear. Myth 21: What do you mean Sweden only has two species of freshwater crayfish? We actually have three! Today, both native noble crayfish and implanted North American signal crayfish can be found in Swedish Waters. Since November 15, 2012 we can also find marbled crayfish in Märsta river in Sigtuna County. In June 2013 the marble crayfish were even discovered in a pond near Skara in Västergötland.